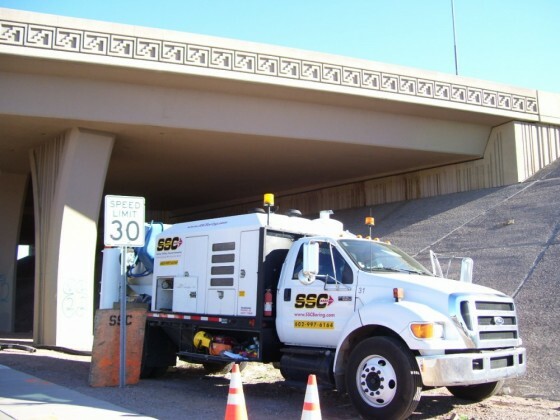 Description: SSC was contracted to vacuum pothole utility conflicts along the Loop 202 construction route. 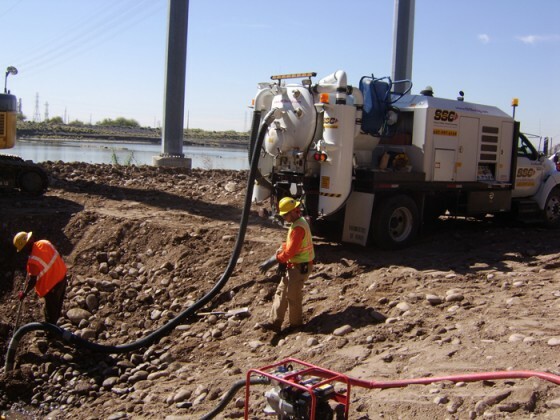 In addition, SSC has performed numerous other functions utilizing the vacuum excavator, including removal of slurry from bridge columns, and assisting with pier installations. Challenges: Locating and exposing a water main below the water table on the north side of Tempe Town Lake. 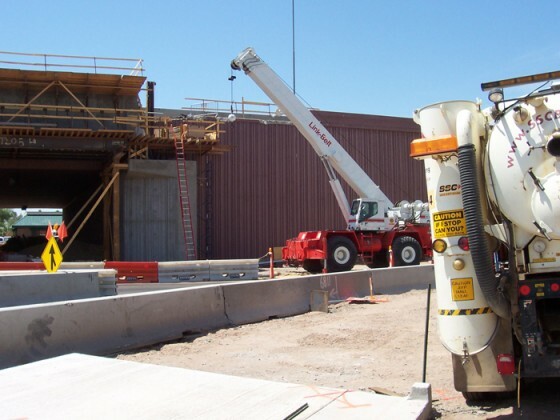 Results: SSC is still under contract and will work with the project team until completion in late 2010.